Casino Niagara, located on Niagara Falls, Canada, directly across from the Falls. Open 24 hour a day, 356 days a year, Casino Niagara offers world class gaming excitement in a world class setting. Casino Niagara is located in Niagara Falls, Canada, directly across from Canada's most famous natural wonder and adjacent to Clifton Hill. Open 24 hours a day, 365 days a year, Casino Niagara offers world class gaming excitement in a world class setting. 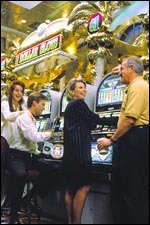 We offer over 2,700 slot and video poker machines on four action-packed levels in denominations from nickels to $100! From the hard hitting action of Blackjack and Roulette to the excitement of Craps, Sic Bo, Pai-Gow, Baccarat, Mini-Baccarat, Pai Gow Tiles, Three Card Poker and Let it Ride. Whether you're in the mood for fine dining or casual comfort, Casino Niagara provides a full menu of dining choices. Choose the quick convenience of Perks, the Terrace Food Court or the warm and inviting atmosphere of Twenty One, Casino Niagara's premiere restaurant, featuring prime steaks, seafood and pasta. With its lounge and piano bar, Twenty One is perfect for lunch or dinner. 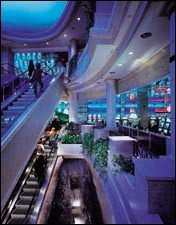 For refreshments, lighter fare and a whole new perspective, try Marilyn's Lounge with its birds-eye view of the gaming action!